The Next Generation Of GHR Platinum Is Here. Experience The New GHR Platinum. Formulated Specifically and Separately For Men And For Women ! SHIPS WITH NEW PLATINUM MULTI-VITAMIN / MULTI-MINERAL FORMULA AS OUR FREE GIFT TO YOU ! We are very excited to announce Dr. West' next breakthrough in GH releasers. A natural anti aging formula specifically designed for WOMEN and MEN. Now with a new WOMEN'S GH Enhancement Complex and a new MEN'S GH Enhancement Complex. A natural anti aging formula on the market specifically designed for WOMEN and MEN. Two new formulas designed specifically for the Female and Male physique for faster, stronger, and better overall results. Two separate formulas designed specifically for WOMEN and MEN. On average, between the ages of 20 and 60 we lose approximately 80% of our youthful hormone production. Learn more. 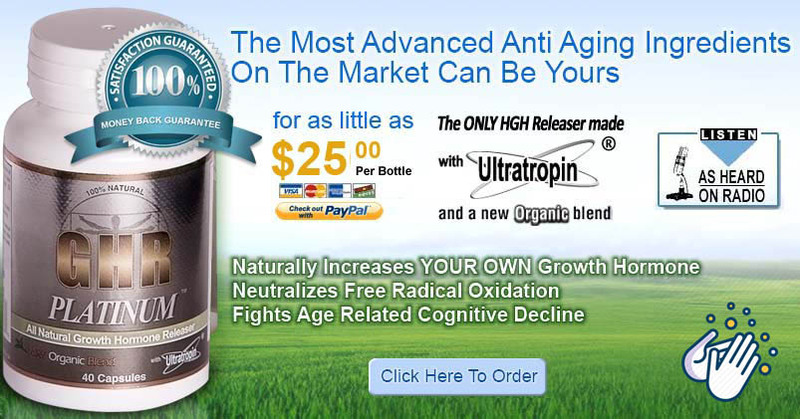 Another major contributor to aging is free radical oxidation. Our body is constantly being bombarded by free radicals that rapidly destroy healthy cells throughout our body. Excessive free radicals eventually contribute to aging related disorders like cancer, heart disease, premature wrinkles and severe arthritis pain. 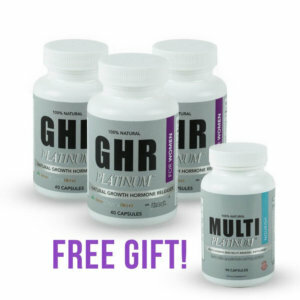 GHR Platinum's superior longevity anti-oxidant formula is designed to neutralize free radicals, remove toxins and fight against rapid and premature aging! Learn more. ARCD or "Age Related Cognitive Decline" describes the loss of cerebral function resulting from the loss of nerve cells in the brain, thus causing us to forget names, phone numbers, entering rooms without remembering why, etc. Learn more.